Faculty of Medicine in Bratislava of Comenius University offers study programmes of General medicine and Dental medicine in English for international students from all over the world. A number of international students is growing in recent years since Comenius university is among TOP universities in Europe. 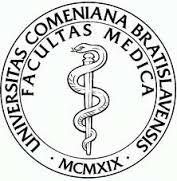 Faculty of Medicine was established on the 21st September 1919 and is the oldest of the thirteen faculties of Comenius University in Bratislava (you may read more about the history of the Faculty and University here). Faculty of medicine invests effort into positioning itself as a recognized scientific, research and educational institution of particular importance for the development of clinical medicine. The Faculty of Medicine at Comenius University in Bratislava currently offers accredited study programs at all three levels. Students obtain knowledge predominantly in theoretical and pre-clinical subjects at beginning of their studies. Further training takes place mainly at the Faculty of Medicine at Comenius University in Bratislava clinics. Students can choose elective subjects from the interdisciplinary program. General Medicine program, which is 6 year program, leading to Doctor of Medicine (M.D.). Program is an equivalent to Medicinae Universae Doctor (abbreviated to MUDr). Fee for one study year is 9500€. There are around 180 students accepted to this study program annually. Dental medicine program, which is 6 year program leading to a diploma degree in Medicinae Dentium Doctor ( MDDr) – equivalent to Doctor of Dentistry. Fee for one study year is 11.000€. There are around 35 students accepted annually each year. Entrance examination may be done only in Bratislava. There are 4 possible dates: 24th, 25th of June 2019 (deadline for delivering documents to University is 24th of May, 2019) and 15th, 16th of August 2019 (deadline for delivery of application is 15th of July, 2019) in Bratislava. Students need a database with questions for preparation – 100 questions are from biology and 100 questions are from chemistry. The maximum number of points is 800. Entrance examination fee is 80€ and is non-refundable. Read the full information about the admission process for 2019/2020 in Bratislava to get full information. The Biology Booklet contains 750 questions from biology. Each question offers 8 possible answers. Similarly, also the Chemistry Booklet contains 750 questions from chemistry. Each question also offers 8 possible answers. At the end of each booklet there are correct answers available. The entrance examination test will contain 100 questions from biology and 100 questions from chemistry (randomly selected) and each question will offer 4 possible answers. Totally you may score 800 points. There are deductions for incorrect answers. – General Certificate of Secondary Education (GCSE) –official translation into Slovak language. In the case that the applicant does not have Original of GCSE issued by the Secondary school it is necessary to submit Official Confirmation from Secondary school about successful graduation of Secondary school with the date, stamp and signature from the director of the secondary school. Do you want study medicine or dental medicine in Bratislava. Apply now! We offer wide range of asistance services, such as providing databank of questions for the entrance examination, assistance at the foreign police, assistance with finding accommodation and others.